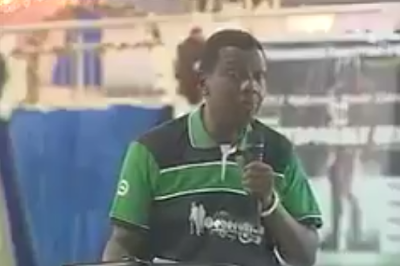 Pastor Adeboye also advised women not to marry a man who has no job. "Don't marry a man who has no job. Before God gave Adam Eve, he gave him a job. He said this is the garden, keep it. So those who come to you and say sister, thus saith the lord, you are going to be the star in my firmament, ask him what is his job.